Mr John Gibson was one of the influential and energetic group of men who had much to do with the setting up of business, civic and social activities in Patea. His name appears on most of the local boards, committees, councils and company shareholder lists of the last quarter of the century. He was elected to the Patea Borough Council at its inauguration, resigned from it in April, 1883, but was re-elected in 1885 and continued as councillor till December, 1888, when he was elected mayor which position he held for a one year term and then retried permanently from the Borough Council, although he served on a special Town Hall Committee in 1911 and ’12. John Gibson’s whole family came to New Zealand in 1860. He was the oldest of nine children and together with his parents they all arrived in Wellington and settled in the Rangitikei district. John had already completed his education at St John‘s School in Chester and had started gaining some trade experience in Liverpool. During the war in Taranaki in the late ‘60s he was in charge of commissariat stores under contract to Messrs Peat and Lewis of Wanganui. This brought him to the military camp at Patea Heads where as soon as hostilities ceased he started up on his own, supplying general merchandise to the local civilians and settlers who began to come into Patea. By 1870 when the Carlyle town sections were sold he already had a shop started on the Leicester Street corner where Gibson’s Stores still stands. He built up world wide connections, imported direct from many places and also obtained a liquor licence in 1869. In later years he had warehouses and branches in Hawera and Ketemarae. As an importer he took great interest in the port and shipping and was an early protagonist for harbour development and shipping and road development. These activities led him into his positions as chairman of the Patea Harbour Board 1882-6 and further service as a Board member. Part owner of the Schooner “Kate” with at first Taplin, Muir and Tilley and later just Tilley; 1878 shareholder in Patea Steam Shipping Co., and later a director as well until 1884. He pushed the sale of the “Waverley” and in 1886 the company was finally wound up. He was agent for the Paddle steamer “Tongariro”. He was also prominent as director in ventures such as in 1881, West Coast Meat and Produce Export Co. Ltd and 1885 the Steam Sawmill and Woodware Manufacturing Co., and the Oil and Fibre Co. But the latter two were short-lived, winding up in 1886. The year 1885 also saw him as Chairman of the Chamber of Commerce and in 1890 he made an abortive attempt to get a new Steam Shipping Co. going. On the social side he was influential in the inauguration of the “Patea Library and Institute” in 1876, and founded the Bowling Club in 1896. He was also, in 1882, president of the Agricultural and Pastoral Association but resigned from it in 1884. All through these public activities he was running his large and expanding general merchandise and liquor business. 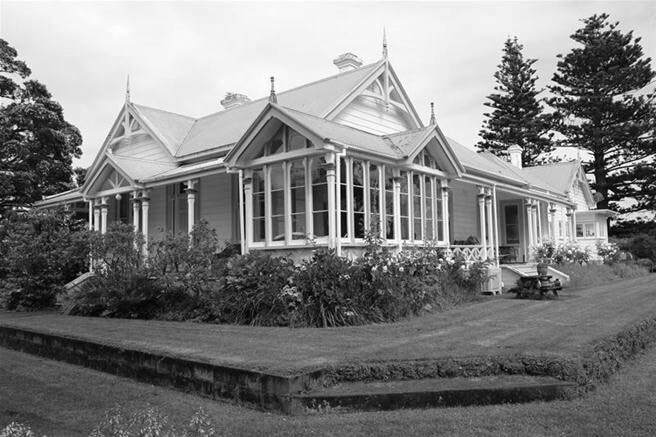 On the domestic scene he was married in 1872 to Janet Helen, daughter of Mr and Mrs Daniel McGregor of Wanganui and they lived first behind the Leicester Street shop and later built the elegant home known as “The Pah on the corner of Egmont and Hadfeild Street. Janet Gibson owned land at the foot of Rakaupiko Road, which she leased to a Chinese market gardener. From him the road became known as Chinaman's Hill. 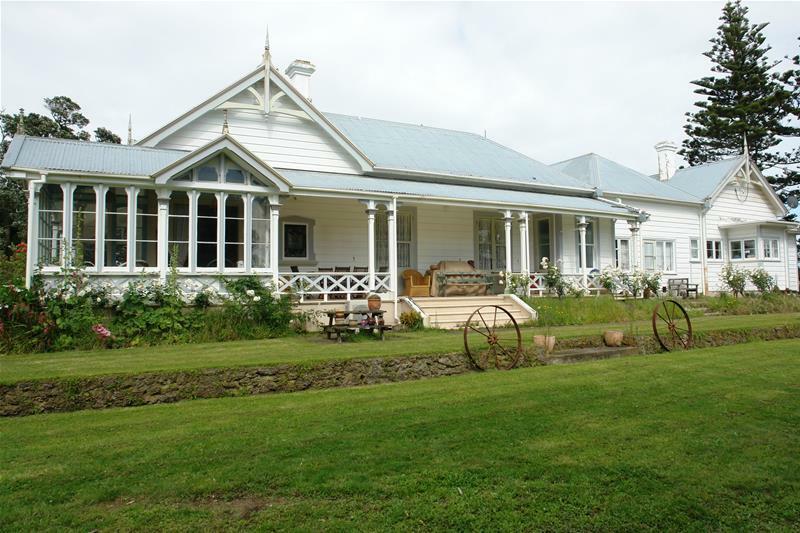 The Gibson's had a large family of seven daughters and four sons who took up varied trades and professions in Patea and further afield. Their eldest son William settled in Wellington, married with 4 children, 3 of them being triplets born in 1922, all survived into adulthood. Another son was the Captain of the 'Inaha'. John's son in-law, Fred Grainger was on the Borough Council for 13 years, being deputy mayor for four years and was manager of the West Coast Refrigerating Co. From 1901. Two sons helped to run the business for a while but John was still at the helm in his late ‘60s. Some years later it was his youngest daughter Huia, who finally took over and maintained the business. Her son, Peter Pulley continued the business and he was one of the longest serving councillors being on the Borough Council for 25 years. Huia had married engineer Charles F Pulley, he was in Patea during WWI to extend the Patea Seawall. In 1917, Charles married local girl Huia Edith Gibson. 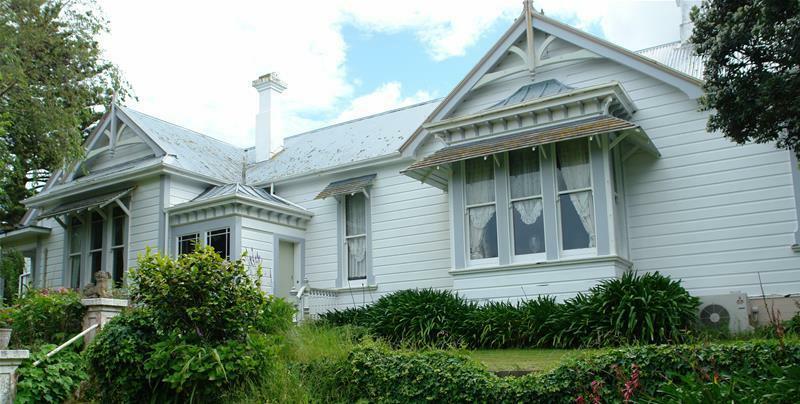 At the age of 51, it was Charles's first marriage, Huia was just 20 years old. They had 2 children, and by 1920, the marriage was all but over, & they separated...divorcing in 1925. Their son Peter Charles Pulley lived in the Gibson Homestead 'The Pah' on Egmont St, & ran Gibson Stores until he died in 1978. John Gibson died in 1915 at the age of 73 and is buried beside his wife Janet at the Patea Cemetery.